Obituary for Gloria Jean Johnson | Frank R. Bell Funeral Home, Inc.
On Thursday, January 17th, 2019 at 3:30 p.m., Gloria Jean Johnson, affectionately known as “Jean”, approached her sunset for new rest. She was born in Creswell, North Carolina on February 1st, 1955 to David Lee Jones and Malvine Johnson. Her extended family-style upbringing of cousins, aunts and uncles instilled in her a love for family and friends. In addition, her humble beginnings in a Christian home built a firm foundation of biblical core values and principles which were cultivated at her home church, St. Mark A.M.E Zion. Gloria fell in love with the game of basketball at a young age. She played organized basketball in elementary and middle school. She was known in her town as a long- range shooter and defensive specialist. She was, in most cases, the only person of color on her teams. With racism at an all-time high in the '60s, Gloria always showed love and respect for people regardless of color, race or creed. This love of people was instilled in her by her grandmother, the late, great Nellie Cabarrus-Johnson. 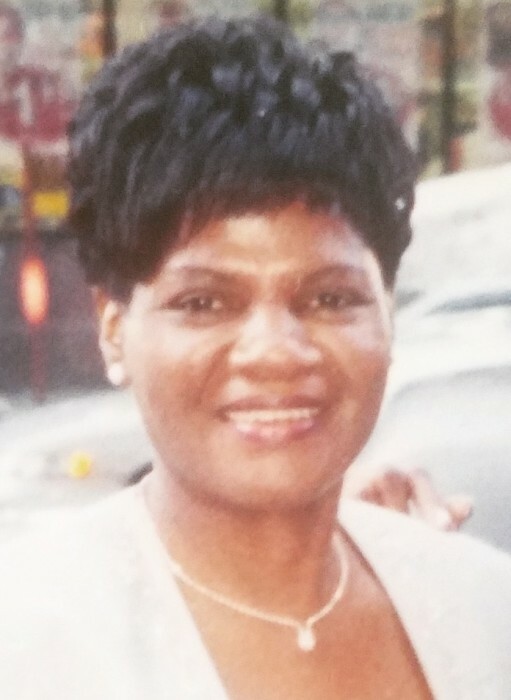 In her teenage years, Gloria moved from the south to go up north to Brooklyn, New York where her mother Malvine Walker and stepfather Robert "Jack" Walker, Sr. lived, along with her younger brother Robert Walker, Jr. and younger sister Debra Walker. Gloria attended Prospect Heights High School and graduated with honors. Soon after, she got accepted into Long Island University (L.I.U. ), Brooklyn Campus where she majored in criminal justice and played basketball as shooting guard for the University’s Lady Blackbirds. After her freshmen year at L.I.U., she started working at the U.S. Army Corps of Engineers (government agency) as student intern (1974-1976). Shortly after starting her government agency career path in human resources, she had a son with the love of her life Preston Dobbins. At that time, Gloria was a part-time student, full-time employee and mom to be. But despite it all, God had a plan for Gloria's life. Her full-time employment with the Army was only the beginning of her merit-worthy career. She later transitioned to the U.S. Navy as a personnel specialist (1978-1987), then went back to the U.S. Army Corps of Engineers as a personnel specialist (1987-1991), followed by a short stay at the U.S. Department of Transportation on Governors Island from 1991-1996. She also worked at I.N.S. (Immigration Naturalization Services) from 1996-1999. Last but not least, Gloria's career ended at the U.S. Attorney's Office Eastern District where she spent the last twenty years of her career. Unfortunately, Gloria didn’t have the privilege of retiring and then going on to enjoy the rest of her life. Instead, she will go down in history as an honorable, hardworking, team-orientated professional who always had the big picture in mind. She worked hard and went above and beyond her duty to get the job done.